The Pill Establishment has run out of patience with people who are given prescription drugs and don't do a good enough job of taking their pills as they are told. 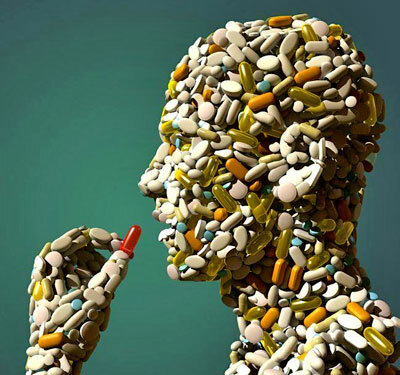 Americans may waste as much as $258 billion a year by not taking prescribed medications because the missed doses lead to emergency room visits, doctors' visits and in-patient hospitalizations, according to a study by Express Scripts, an independent prescription-filling company. ..."Drugs don't work if you don't take them, and people often don't take them the way they're supposed to," said Bob Nease, chief scientist at Express Scripts. If you read that right, yes, the study was performed by a a prescription-filling company, or as we refer to them in the healthcare industry, a Pharmacy Benefits Manager. I'm sure the results of the study couldn't possibly be skewed toward desired results! Of course, these companies never look at the costs of loss productivity, in-patient hospitalizations, benefit payouts, missed work, hospital/emergency costs from overdoses, etc., due to the fact that Americans are mainlining Big Pharma's profitable and "legal" drugs. The costs always seem to appear under the column heading, "Costs of not taking drugs." People don't take their medications because they forget to refill their prescriptions, forget to take them, feel they don't need them or find them too expensive, said Edith Rosato, senior vice president of pharmacy affairs for the National Association of Chain Drug Stores. An SVP (Senior Vice President) who pushes and lobbies for chain drug stores claims that people aren't taking enough drugs. Folks, I am not making this up. In fact, Express Scripts actually started auto-enrolling their dependent drug slaves and gave them the choice of opting out. Of course, these industry-funded studies never report on the costs, let alone the deaths, of legalizing Big Pharma's coercive drug-pushing. Drugs now kill more people than motor vehicle accidents in the U.S. -- a monumental shift that reflects gains in road safety amid a troubling rise in prescription drug abuse. Drug overdoses and brain damage linked to long-term drug abuse killed an estimated 37,485 people in 2009, the latest year for which preliminary data are available, surpassing the toll of traffic accidents by 1,201. And the number is likely to rise as the U.S. Centers for Disease Control and Prevention prepares to release its official statistics in December. ..."There has been a dramatic increase in use of prescription drugs as physicians have become more liberal in prescribing them," said Paulozzi, adding that the bulk of drug-related deaths stems from accidental opioid painkiller overdoses." In response, government agents - otherwise known as elected representatives acting in your interest - push legislation friendly to the drug companies and their assorted offshoots of pharmaceutical wonder. In spite of the fact that prescription drug deaths are now at an all-time high, the pill pushers and their legalized drug runners in the medical establishment may have found a new way to keep you in a pharmaceutical coma that benefits the bottom lines of the mega-drug industry: an Orwellian, wireless implant device that will automatically feed you drugs that you neglect to take. A thumbnail-sized microchip containing multiple drug reservoirs has now passed clinical trials in which a wireless signal was used to release precise daily doses, instead of requiring patients to inject themselves with the drug. The technology could help patients who require frequent or daily injections. Studies have shown that many medical patients do not take their meds on schedule, especially when they are feeling good and think they no longer need them. Unfortunately, many drugs today need to be taken regularly and in precise doses in order to maintain their long-term therapeutic effect. As a result, many new technologies are being tried that prompt the patient, via email or telephone reminders, to administer the drug themselves. The idea is that a physician will send a wireless signal to a microchip implant (that stores drugs) that will allow the drugs to be automatically dispensed into one's body. Of course, this will require the services of a highly profitable middleman and agent of coercion - a medical implant communication service - to perform the drug dispensing duty. Follow the money. "You can deliver multiple drugs [using] remote control," said Langer. "You could literally have a pharmacy on a chip."